When will women ever learn? If I pay all your bills, put a roof over your head, make sure you are well fed and dressed. Buy you a car so you can move around….then the term INDEPENDENT WOMAN does not apply to you. I am your Majority Shareholder. 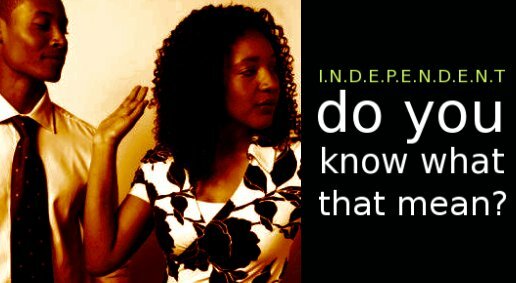 Do you think a woman can be considered to be too independant??? Is that a turn off?? Reblogged this on Keith Harris.